Piedras Blancas National Park has a surface of 143 km2; it is located in Puntarenas province within southern Costa Rica, close to a little town called La Gamba, and it belongs to the Osa Conservation Area. 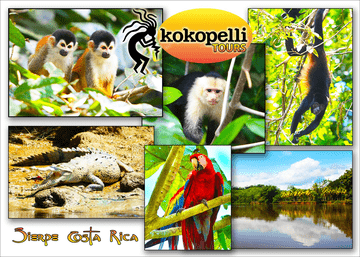 With its 35,000 acres of tropical rainforest, Piedras Blancas National Park, a former extension of the nearby Corcovado National Park (in the Osa Peninsula), protects some of the last remaining stretches of undisturbed lowland primary (or old growth) rainforest in Central America. Of all the land-based ecosystems in the world, tropical lowland rainforests are the most biologically diverse and serve as a refuge for many threatened species. The Park surrounding Playa Cativo is a critical last stand for an estimated 750 species of trees, 140 species of mammals, 367 species of birds (with a number of species endemic to the region), 117 species of reptiles, and almost 10,000 species of insects. This organization bought large pieces of the rainforest and the bordering beaches which were being severely endangered by the clear cutting taking place up to the mid-90s. The organization’s goal is to ensure the continuity of the biological processes while preserving biodiversity by reforesting all the areas as well as hiring park rangers. La Gamba village is part of this great environmental initiative, and it has good hostels, as well as the well-known Esquinas Rainforest Lodge. The area encompassing the Esquinas and Piedras Blancas rivers and surrounding mountains is covered with thick evergreen forest, habitat to an amazing variety of birds, mammals, and reptiles. Coaching was a big problem that is now controlled by the park rangers. Additionally, the Costa Rican government, the hydroelectric company Tenaska, the Nature Conservancy, and the Gordon and Betty Moore foundation have purchased land in Piedras Blancas, increasing the total protected area within the park up to 80%. 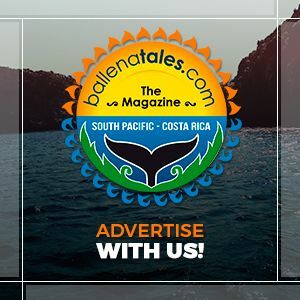 Posted in Environment & Wildlife, Natural Attractions, Osa, Tourism & Entertainment and tagged animals, ballenatales, Betty Moore, Costa Rica, enviroment, Esquinas Rainforest Lodge, golfito, La Gamba, National Park, nature, Osa Conservation, rainforest of the Austrians, travel, wildlife.